State Trading Organisation (STO) has announced this week that the state giant is going to reduce the price of diesel that the company sells to fishermen. Addressing at the 3-barge launching ceremony in Funadhoo, STO's Managing Director Mr Ahmed Shaheer has announced its decision. 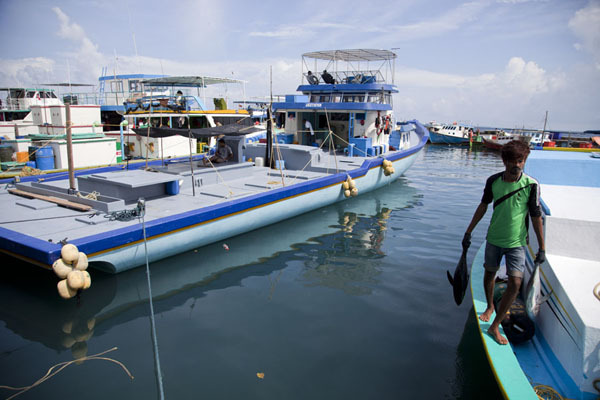 STO sells diesel to fishermen through its subsidiary company Mifco. Mifco's CEO has furnished that fishermen will be given diesel for MVR 8.00 per liter effective from 1st November 2016. He insisted that this MVR 0.40 reduction in the price of diesel from MVR 8.40 to 8.00 would help fishermen save on fuel.